Firefighters Movers McKinney TX | Off Duty Firemen Movers - MoveStar Inc.
McKinney is famous for its beautiful tree-lined streets, outstanding educational opportunities, diverse neighborhoods for residence, charming historic background, robust business environment and of course a strong sense of community well being. This picturesque city is the county seat of Collin County in the state of Texas. With around 131, 117 people living here in peace, McKinney is an ideal spot for relocation if you are looking for a city with a triple benefit of good education, job opportunities, and serene atmosphere. In the case you are planning to shift to this one of the fastest growing cities in the US, you must check out the best moving deals offered by the most trustworthy moving company in Texas, MoveStar. 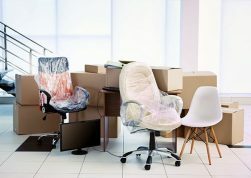 Why must you hire our firefighters moving company for shifting base? The reasons are obvious! Check out a few so that you are really convinced even before making a call to us. Well trained and experienced staff is our major highlight. 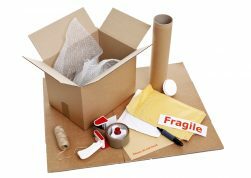 With an experience of around 20 years, we are one of those few moving companies that have managed to establish a noteworthy lineup of satisfied customers with our dedicated services. We believe in providing customized moving and storage services and hence always plan out our moving process based on your brief and expectations. Relocating to any destination, within the city and even outside the state is not a problem with us as we have the necessary expertise and understanding of the law to execute such tasks smoothly. Be it your antique or precious items or need of long-term storage while shifting base, our off duty firemen movers are always ready to serve you in whichever way you want. Despite being one of the most technologically advanced moving services, MoveStar provides all the updated facilities at a very reasonable rate so that everyone can afford our firefighters movers. You can trust our fireman movers to help you do the loading and unloading as well as helping you in packing and unpacking. From sealing the big boxes and cartons to uploading your electronic appliances carefully, our firemen movers are efficient at executing all such tasks with noteworthy perfection. Give a call to our MoveStar representative to resolve all your queries regarding the moving issues now!